I’m at least partially back from my exile, also known as moving flat and not having any internet. This is starting to become a bit of a worrying trend for me, isn’t it? If it helps for all my dear readers, it’s been an absolute pain for me too! 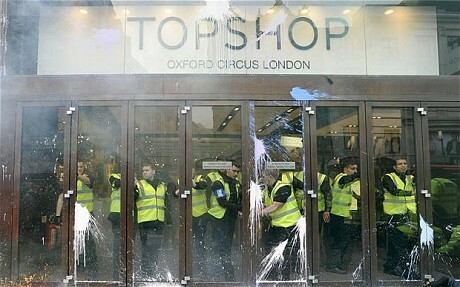 So while the rest of London showed an amazing amount of solidarity, I was very pleased to hear that London businesses had banded together and set up a charitable fund to help those high street retailers that were hit by the riots. Some of the worst hit areas were no doubt Peckham, Clapham, Croydon, Tottenham and even the beloved Oxford Circus wasn’t immune. It’s good to see that out of such ugliness arising from the underbelly of British society, the best of this culture can be shown at the same time, through the riot cleanup movement that was started on Facebook and Twitter. Let’s hope it doesn’t happen again! Previous ArticleThe Shoot: Ice Ice Baby!